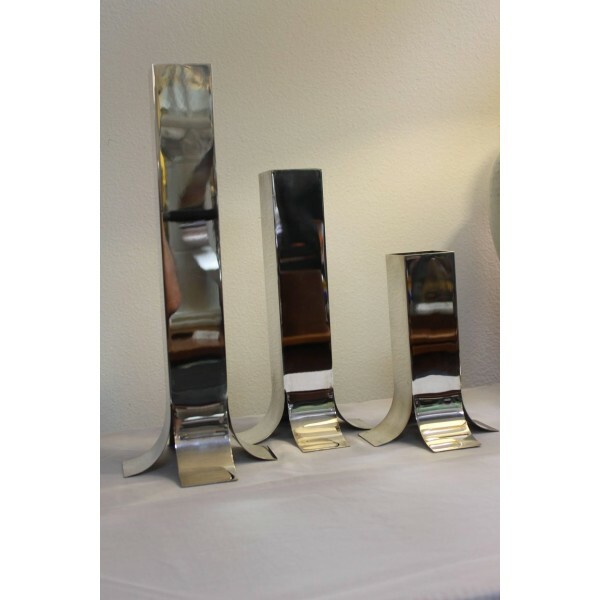 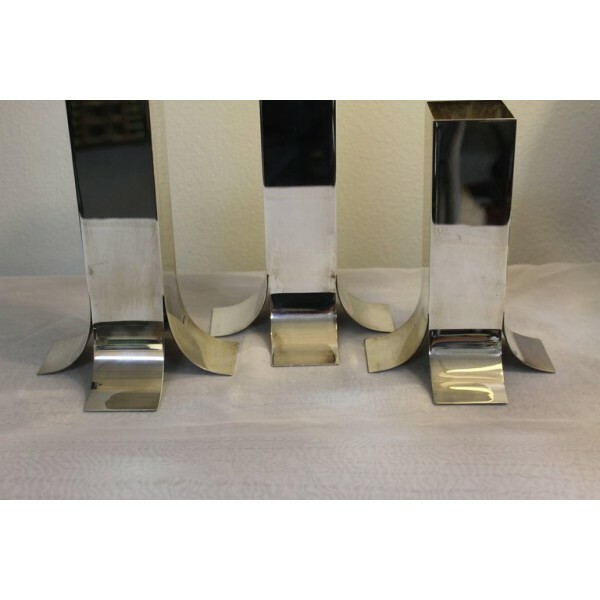 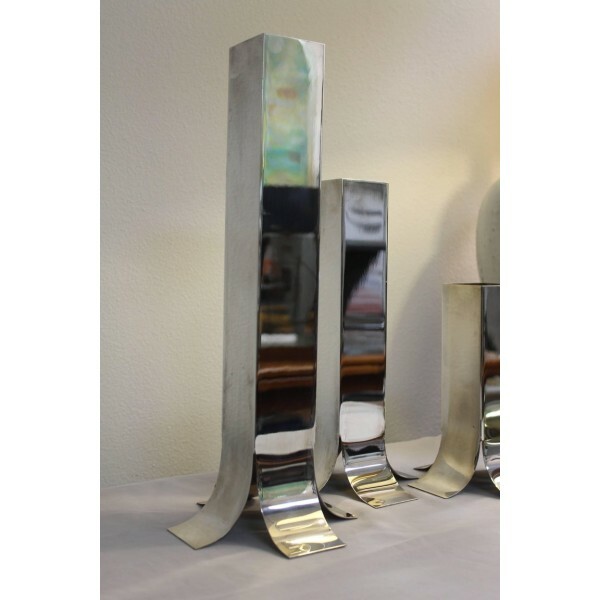 A three-piece set of silver plate vases, circa 1970s designed by Lino Sabattini (Italian, born 1925). 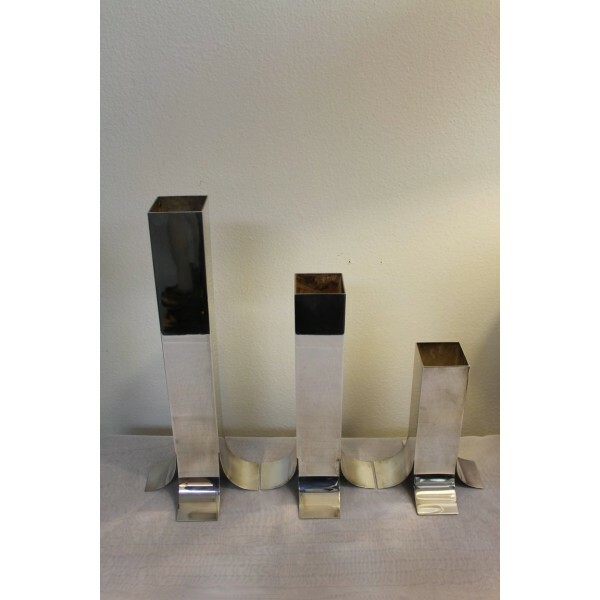 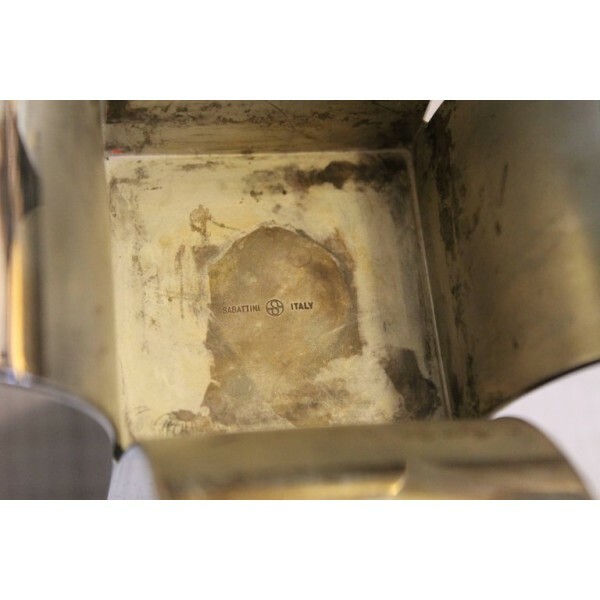 A minimalist design by celebrated Gio Ponti collaborator and Christofle director Sabattini. 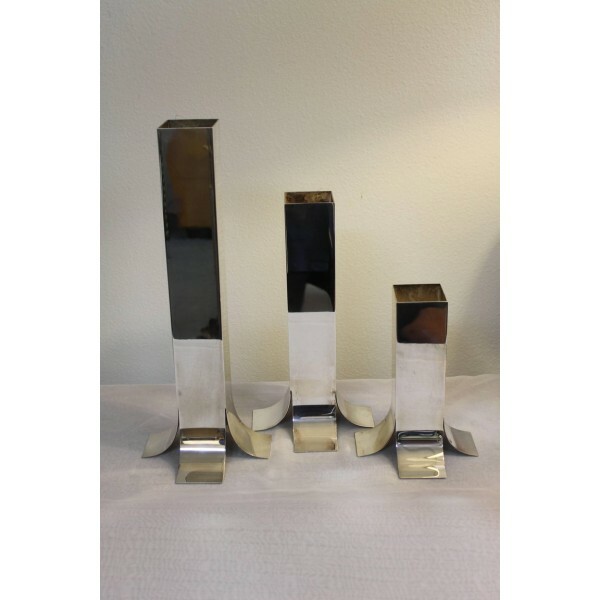 All three vases are signed “SABITTINI – ITALY”. 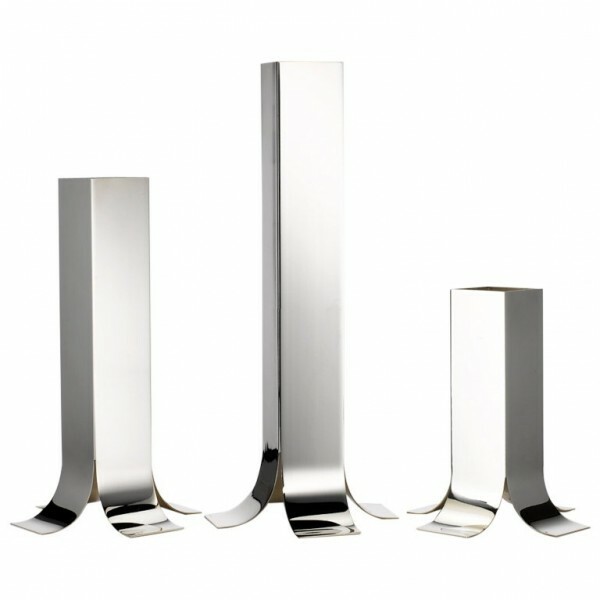 They measure 16 .25", 12.25" and 8.25" high and 6" square.